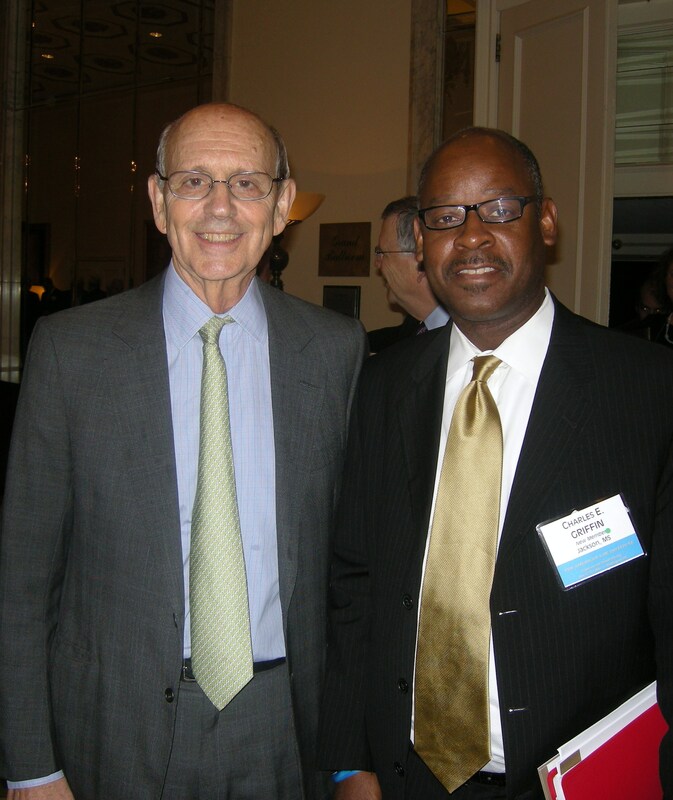 A brief word with Justice Breyer during the meeting. 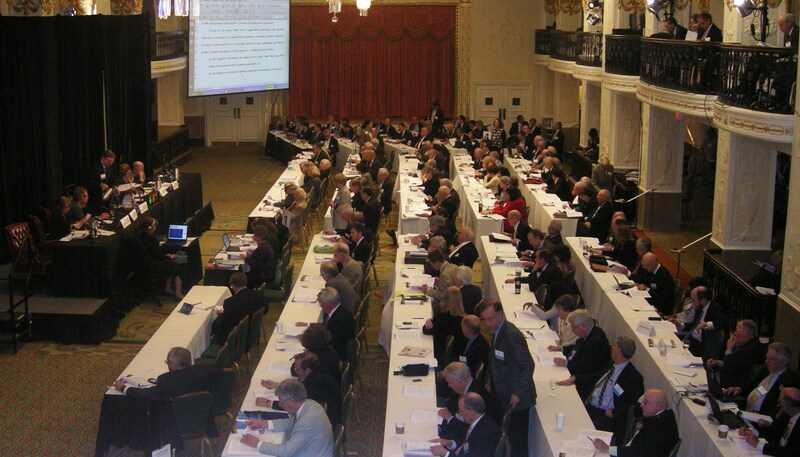 Despite my busy workload of late, I took time to attend the 2010 annual meeting of the American Law Institute (ALI) in Washington, D.C. earlier this week. I was elected to the Institute in March and new members are encouraged to begin participating immediately. I attended enough sessions and official events to leave the annual meeting with a healthy degree of respect for the work of the Institute and the commitment of its members. This meeting included formal receptions, lunches and dinners but it was also filled with serious deliberative sessions. The professional standing of the individual participants and the magnitude of some of the discussions was very impressive. At one or more sessions, Judges from the U.S. Supreme Court, the various Circuit Courts, District Courts and various state courts were present. The academic legal community was well representated and expert practitioners were also present. Finally, lawyers from several countries around the world were also present. The purpose of the deliberative sessions was to review the state of current law in various areas and adopt proposed changes to the Restatements of the Law or Principles of Law in those areas. The work performed at our sessions will eventually be included in publications which will become part of the legal collections of the United States Supreme Court law library, many law school libraries, state law libraries, law firm libraries and other law libraries around the world. New members were warmly welcomed into the Institute. There was a formal dinner for new members to meet more experienced members. Throughout the meeting, new members were identified by a special mark on their badges. As a new member, I was frequently approached by existing members who introduced themselves and welcomed me to the Institute. They shared past experiences and offered tips on making the most of ALI membership. The ALI staff members were equally accessible and helpful. Many offered suggestions regarding how I could make my membership professionally and personally rewarding. The Institute accomplished a lot during the meeting. I look forward to working with ALI in the future. This entry was posted in Griffin & Associates, Strategic Planning, Uncategorized and tagged ALI, ALI annual meeting, ALI-ABA, American Law Institute, Charles E. Griffin, Restatement of the Law. Bookmark the permalink.